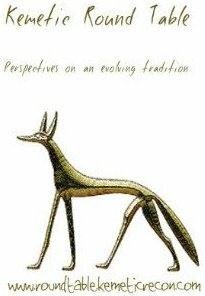 In discussions of modern Kemetic mythology, Moomas, and Jackal’s Eve, the legend of Santa Min was born. Devo has created a post about him, with a special altar. As she says, “This post may not be safe for those under 18. Some images are NSFW.” (Not Suitable For Work), so keep that in mind. What do you think? Do we need modern Kemetic myths as well as the ancient ones? This entry was posted in Fun!, Gods & Goddesses, Links, Modern Practice and tagged Ancient Egypt, Hethert, Jackal's Eve, kemetic, Min, Moomas, myths, Pagan, shrine by helmsin2. Bookmark the permalink.